Fantastic FREE Drinks with MSC! From the 12th December 2018 to 17th March 2019, we're giving away FREE Drinks worth up to £500 on a huge range of MSC sailings when you book a Fantastica stateroom! There are a range of destinations on offer throughout Summer 2019 and Winter 2019-2020 including the mediterranean, Caribbean, Cuba and the Emirates. As well as your FREE drinks, when you book a Fantastica grade stateroom you'll also receive more flexibility in your dining and FREE in-cabin breakfast. BEST PROMO rates are per person based on double occupancy. The complimentary Premium Drinks Package is only for Fantastica experience (i.e. categories I2,O2,B2,S2) applicable to all guests sharing a cabin, including children (passengers from 3 to 17 Yo). The rates are subject to change and may vary without notice. This offer is valid on new bookings only, made between 12th of December 2018 and 17th of March 2019, valid on sailings from Summer 2019 and Winter 19/20 Programme. The offer is capacity controlled, subject to availability and confirmation by MSC Cruises. It is only combinable with MSC Voyagers Club discount, and not combinable with any other offer or MSC Discounts and/or Future Cruise Consultant Vouchers/Future Cruise Discount Vouchers, unless otherwise stated on ad-hoc promotional material. During the “Wave Best Promo“ Campaign, for sailings included, the promotion will be visible on the reservation system at the time of the booking under the “BEST PROMO Cruise Only”, “BEST PROMO FLY & Cruise” price descriptions. Only bookings taken under before mentioned Price Descriptions will receive the complimentary Premium Drinks Package when selecting the Fantastica Experience (I2,O2,B2 or S2). The Premium Drinks Package allows the guests to enjoy whilst on board, unlimited consumption of all drinks priced up to 10 €/12 $. This offer includes a wide range of cocktails, spirits, liqueurs, aperitifs, wines by the glass, draught and bottled beers, sodas, fruit juices, bottled mineral water, energy drinks, classic and special coffee drinks, hot chocolate delights and organic tea. The offer is valid in all on board bars, as well as the self-service buffet and restaurants, including speciality restaurants. This PREMIUM DRINKS package is for personal use only and valid for one booking at a time. The ID card issued with the package is non-transferrable. Abusing the terms of the package may result in the service being withdrawn and the remaining days not being refunded. The price of the package applies to each day of the cruise except for the day of disembarkation; the package cannot be purchased on a daily basis. Once activated on board, the package cannot be terminated and refunded. The package must be booked by all guests occupying the same cabin, or travelling together and wishing enjoy their meals at the same table, including minors who must book the Child version of the package. The package is not mandatory for infants under 3 years old (i.e. who have not yet reached their 3rd birthday). The following items are not included in the package: tobacco, souvenir glasses, ice cream menu, retail items, minibar and room service. " 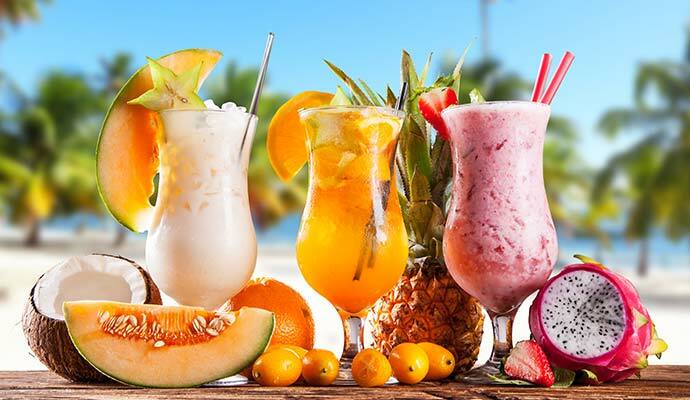 The rates for the family cabins (FLP, FPO, FPB, FLA, FMB and FMO) and the rates for Bella cabins (I1, O1 and B1) do not include All Inclusive drinks, only the complimentary “water and hot drinks” in the standard restaurants. The offer can be withdrawn at any time without notice. 3rd and 4th berth guests pay the usual applicable rate. Flights and any other add-ons will be available at the current selling rates, payable by all guests under the same booking. Guests travelling on different Experiences will be subject to restrictions on dining arrangements. Single Supplement 100%.